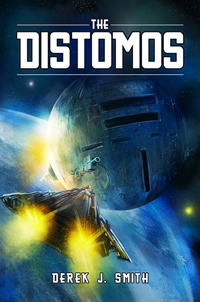 April 17th, 2019: This has been updated since the release of Distance Over Time. Please see below for my most recent thoughts. Since the announcement of Dream Theater’s new album, I found myself asking what their last great album was. I understand that stylistically, it might not be every Dream Theater fan’s cup of tea. Some people think it’s one of our greatest works, and some people, it’s not something that they’re into. As a standalone album, it’s a soundtrack to a larger piece – to a live show, a novel, a movie, whatever – and sometimes, that’s hard to absorb in that big of a chunk, given there’s over two hours of music. 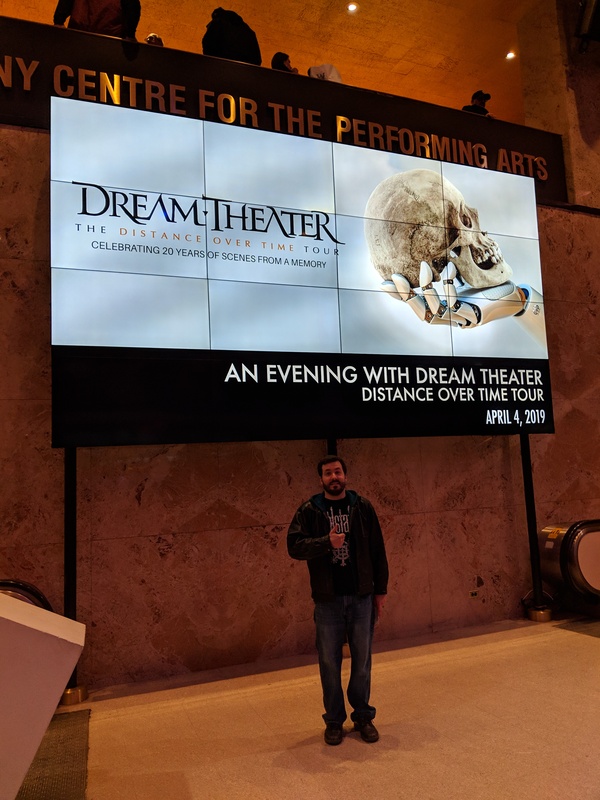 Disclaimer: I am a huge Dream Theater fan. I have met the band on a few occasions, I own all of their albums, was registered to the Voices UK fanclub for a short while, own some rare releases, and have seen them perform live twelve times. I have covered the band’s songs with my own (now extinct) bands, and have just about followed every single side project each of the members have been involved in. I also like to think I have a relatively broad selection of musical tastes, from progressive bands like Anathema to extreme metal bands like Triptykon and regular rock bands like Stone Temple Pilots. While obviously everything I’ll be saying is all my bias opinion, I feel like I have some credence to what I have to say based on all of the things above. So here we go! After their incredible run of releases (yes, even including Falling Into Infinity), I feel that Dream Theater’s peak in terms of song writing was Train of Thought. It’s definitely a bold statement to say, but I’ll try to back myself up here: each song had a purpose and a flow within the album. It was (mostly) to-the-point and showcased the band’s first real foray back into heavy metal since their 1994 album Awake. Obviously they’ve had some pretty heavy songs since 1994, but nothing was as straight-forward and massive in its progressive metal scope as Train of Thought was. The single, As I Am, was the least-progressive song on the album yet still packed an incredible punch. It was catchy, easy to sing along to, and featured one of Petrucci’s meltingly fast solos. The next two songs, This Dying Soul and Endless Sacrifice, were even more heavier than As I Am, setting the tone for the remainder of the album. This Dying Soul begins with drummer Mike Portnoy blitzing through some double kicks that walloped over the listeners head – something no Dream Theater song had done up until that point. Even at its more melodic points, such as the chorus, the song has a purpose. James LaBrie essentially sings through the whole song, save for the first and last two minutes. Everything else in the song was part of the song and not really filler or padding – which is super important to note – as it will be an ongoing point I’ll be making when I begin to tackle the rest of the albums. Endless Sacrifice is my least favourite song as it really strikes me as Dream Theater trying to grasp with a metalcore influence – which is not who the band is. The chorus features pinched harmonics, a slower tempo, and a that damn guitar tone. Yeesh. It sounds like its geared towards a younger audience. And from 4:50 on, it’s just mediocre filler – instrumentation that does nothing to help the song as a whole. At 10 minutes, we hear LaBrie singing the chorus again and it’s super-yawn filled. The chorus is catchy, but I feel it’s the worst song on the album – which isn’t a bad thing because they do end up writing what I think to be their worst songs on later later albums. And I know I’m in the minority when it comes to Endless Sacrifice anyway, so don’t get too upset. Post Endless Sacrifice, comes my favourite track, Honor Thy Father, which is not only what I think is the heaviest song on the album, but their strongest lyrically. I could gush for hours over this song. The intensity of the music completely match the emotion of the lyrics and what both LaBrie and Portnoy want to convey. It’s an honest song and I believe the band gives it the attention it deserved when creating it. The mournful Vacant, instrumental Stream of Consciousness, and climactic In the Name of God, all feature strong song-writing ability, including Portnoy’s clever use of Morse Code in the last song. Each song on Train of Thought is written with a story and a purpose (save for whatever the hell is wrong with Endless Sacrifice). The band took what metal influences they had in previous albums and went gung-ho with this album. There is no excessive noodling with instrumentals in songs. In fact, the band seemed to control their restraint of showcasing technicality and getting lost in what’s “cool”. There’s little padding (which I’ll get into later) and the songs, I feel, are more impactful because of it. 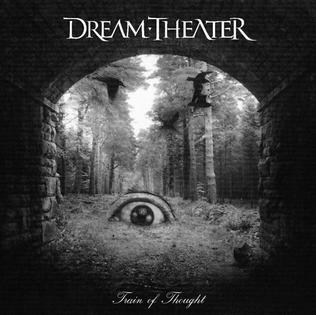 Train of Thought was Dream Theater’s best selling album since 1997s Falling Into Infinity. Train of Thought was concise, powerful, and could be considered as one of their stronger releases from progressive rock fans. It was a bold decision for the band to take on, and one which – in my opinion – they’ve struggled to do since. And I don’t mean that they have struggled to make a metal album – I’m saying the band hasn’t released an album that has been as impacting or has made as big of a statement as Train of Thought has. The song writing choices, track listing, and creativity, in my opinion have yet to be replicated. Octavarium or 8VM for you DT fans out there, was an exciting release. It featured their first 15+ minute-long song since 2002’s Six Degrees of Inner Turbulence and 1995’s A Change of Seasons. Following the dramatic change and success from Train of Thought, I felt a certain kind of heavy expectation from the band. It’s kind of natural to have those expectations from bands anyway – even from forever changing ones like Dream Theater. I’m sure when Scenes From a Memory was released, some expected a little bit of Falling Into Infinity. Either way, the album began very promising. The Root of All Evil opens the album and continues Mike Portnoy’s twelve step suite. It’s heavy, in your face, and is a natural extension of what the previous album presented. Then bam! The Answer Lies Within, These Walls, and I Walk Beside you are the next three songs. They’re pretty straight-forward rock songs, but they’re short on the progressive and even shorter on metal. In fact, I Walk Beside You could easily have been a U2 B-side that the label said was too lame for the band. The three songs not only were unimpressive, but completely shattered the incredible power they had built up with Train of Thought. 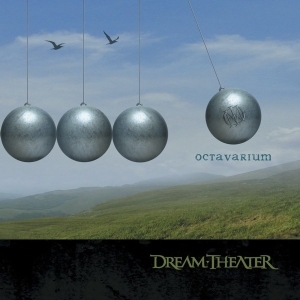 If you were a heavy metal fan who got into Dream Theater with Train of Thought, I could only imagine your disappointment with Octavarium so far. Fortunately, Panic Attack was a welcome relief to hear. Not only was it a strong, heavy song, it also didn’t feature broad instrumentals that pull the listener away from the song – meaning the instrumental choices made sense within the song. No crazy key changes or slow mellow moments. It started in-your-face and stayed that way throughout. The instrumentation remained intact with the intensity the music and never really came off as too proggy; staying within the songs confines making for a quick, albeit seven-minute track that was pounding. It flowed very nicely into the intensity of the Muse-esque song Never Enough. But like the songs before Panic Attack, Never Enough never really broke any standard structure. It was a hard rock song from a progressive metal band. The second-to-last track, Sacrificed Sons was a slow build into a great proggy jam. The interesting thing, however, is how the lyrics do not follow the music at all – almost as if one or the other was an afterthought. It’s a dramatic song, but really gets lost in what it’s trying to say. Lyrically is sad, but the music from the bass breakdown in the bridge to the end of the song suggest something else entirely. Speaking of seeming lost, the title track, Octavarium was the 24 minute epic everyone was excited for. And while it was exciting to hear a continuum for the first time, in hindsight, the first four minutes of the song is time I’ll never get back. But you know, the rest of the song holds itself together. It starts slow yet has this natural build to it all the way until the horns at the end. It’s melodic, metal, folk, and really, everything you’d expect from Dream Theater. Unlike Train of Thought though, Octavarium (the song) is a commitment. And save for the first few minutes of the song, it’s not really what Train of Thought had. It’s playful in its lyrics and instrumentals, but still doesn’t have the kind of brute force the previous album had throughout. Unfortunately, because of the success of this long song, the following two Dream Theater albums continue the pattern of musical filler (AKA padding) which, in my opinion, plagued the band for a while. Octavarium in my opinion, failed to be an impactful album. It’s sort of all-over the place when it comes to song stylings. Music feels out of place and the two strongest songs (Panic Attack, Octavarium) unfortunately do not hold the album together as a whole. While it was a clever album – especially on how chalked-full of easter eggs it was for musicians – the album was not nearly as definitive as I had wanted. It was literally a hodge-podge of songs strung together by a concept of octaves. Off of the back of Octavarium, Dream Theater were done with Atlantic Records – a label that had no idea how to promote the band – moving on to a label that did: Roadrunner Records. Featuring a gigantic boost in sales that the band hadn’t seen since 1994, they knew with Roadrunner they had to do something special. 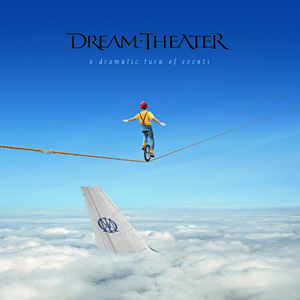 Not only did the band decide to go back to heavier roots with its new label, Dream Theater decided to break up their 25+ minute song, In the Presence of Enemies, to bookend the album. Yikes. Part one of the song started off with a bang – in your face and nine minutes long. Unfortunately, in my eyes, this is where Dream Theater started to really show signs of confusion. For the first five minutes of the song, the music begins to present themes and do-dads which are barely revisited in part two. Essentially it’s multiple new songs that are strung together with awkward pauses where I’m left saying, “Now the song HAS to start now.” See 2:10, 3:06, and 4:06. When it finally starts, we’re already beyond the halfway point of the song. And shortly after the eight minute mark, the song goes into noodling and wankery that doesn’t help the song. If anything, it starts to begin a transition into a song I’m struggling to commit to. Except, nope. They give me one of the lamest songs in their history, Forsaken. Outside of its blandness, it’s clearly a song for the masses. I don’t blame the band for creating it. With a new label, it’s understandable to create something like that. Unfortunately, the song is so cliché, I can only skip it every time it comes on. The dramatic change from the first song to the second one was not only disappointing but failed to hold my attention. The next song song is my favourite only because I feel like I need to have one on this album. The Dark Eternal Night is one helluva metal song. The guitar riff crushes and the drums are intense. This song was definitely something that could’ve sat on Train of Thought. 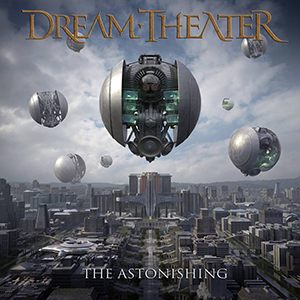 Upon first listen, I wondered if Dream Theater was just holding back on us. When I saw it live the first time during their 2007 tour, I was blown away with how fast bassist John Myung’s fingers were moving during the bridge from the six minute mark-onwards. It’s a powerful song, don’t get me wrong, but between the 3:30-6:00 time frame, there’s a lot of lame musical choices going on. The music is so ho-hum, the band even created a cartoon that plays along with it in order to save the audience. I feel the song, while heavier than Endless Sacrifice, fell into the same footsteps as it. A lot of flash and padding, but no real substance. I did decide to do a Meet & Greet with the band during this album. Redemption and Into Eternity opened for them. Speaking of no substance: what do you call a ten minute track featuring guest speakers? If you said “Repentance,” you’re correct! While The Root of All Evil had some substance to it for the twelve step suite, Repentance, I feel kind of sucked the life from the series. After The Dark Eternal Night, the last thing I want is to be dragged down. It made me wonder, especially when going from track one to track two: who decided the song order on this album? Like Octavarium, the flow seemed lost – and you know – it didn’t get any better. Prophets of War follows Never Enough’s pattern and continued the strange Muse-style influence from the band. The music doesn’t do anything for me. It builds, descends, builds, descends, and really that’s it. Like the song before it: no substance. And the song after it. . .
Until I started to make this list, I totally forgot The Ministry of Lost Souls existed. I’ve skipped it so many times. At 14 minutes, the song does nothing for the first seven. It eventually goes into some technical wankery, then hits the reset button at 11:19. Like Sacrificed Sons, it’s as if two separate songs were written, thrown together, then slapped on the album. It goes from being a ballad to being metal, then back to being a ballad. Singing only exists during the ballad parts. And unfortunately, I had to get to this song here to make my bigger point about padding: Much like an author or director, the album needed to have an editor – to cut the fat from the song and to tighten it up. Movies can use establishing shots or dwell on a scene for too long to pad the length of the movie. An editor may catch and fix that. Authors would do it when describing things in great detail that have nothing to do with the overall story of book. You may even remember doing it when trying to make an essay word count go up. Editors would remove that jargon and strengthen the work. What it seems is Dream Theater does it in some of their songs. And that’s not to say instrumentation or instrumentals in songs are a bad thing. Let’s take a quick look at Trial of Tears from their 1997 release, Falling Into Infinity. The song opens slow and melodic. It goes verse/chorus/verse/chorus, takes an extended bridge, then concludes. One may argue that the intro and bridge is padding. I’d disagree. Unlike The Ministry of Lost Souls, parts of Octavarium, In the Presence of Enemies (and other songs I’ll get into later), Trial of Tears music makes sense for what the song is. The song starts slow and continues to keep that pattern more-or-less throughout. The first minute establishes the tone, followed by the guitar lead which also establishes the guitar tone. The verse/chorus pattern begins until 5:03 where the bridge begins. The song gets heavy for a brief moment as the song naturally was building up to the release we get at 6:12. The bass groove/guitar solo builds again but keeps within the confines of the song. It’s already established itself as a slow jam from the beginning and continues to do so. By 8:09, the song releases again, changes tempo and its bass groove. Derek Sherinian’s keyboard solo builds up the song again to a third release at 9:53. The song concludes with the chorus and includes tidbits from the intro of the song. Trial of Tears combines its parts naturally. All of the pieces come together to feel like one song. This kind of consistency in their song writing is rarely replicated again and most definitely doesn’t require an editor. I’ll still revisit padding later. When we finally hit the final track – a continuation from the first one – it’s slow-paced. Nothing happens for the first two and a half minutes. But fortunately, unlike the previous song, it builds properly and builds reasoning to its madness. The lyrics follow the music and vice-versa. Everything’s good until 13:25 where we see the same ending in the song Octavarium – the epic pause where an instrument is singled out and there’s a slow burn until the song ends. Despite that, it’s a relief to have In The Presence of Enemies Part 2 as it really is a strong conclusion to the album. Unfortunately it’s literally too little too late as the rest of the album suffers from strange song placement and writing choices. While it may have been one of Dream Theater’s most commercially successful albums, it struggles to actually impress me – as a Dream Theater fan and as a music listener – when it comes to strange extensions to songs and other writing decisions that personally do not make sense for me. 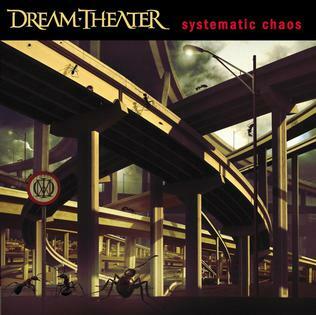 Unlike Train of Thought, Systematic Chaos misses the mark on strong writing ability and memorable songs. 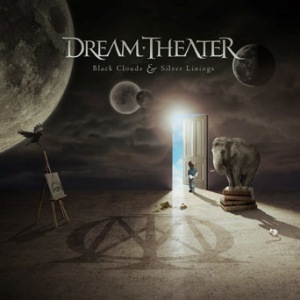 An album that starts off right: Black Clouds & Silver Linings was another album that showed a lot of excitement: another 19+ minute long song and the conclusion of Mike Portnoy’s twelve step suite. How was it all going to piece together? This was also the final album to feature founder and drummer Mike Portnoy. The single, A Rite of Passage, much like Constant Motion, felt like another Metallica clone. The bridge felt out of place and thrown into the song just to give it some spice. Unfortunately the spice didn’t stick for either of the albums singles. The third song and the album’s second single, Wither, will now always have a special meaning for me as my brother demanded it be used as an encore during The Astonishing tour. “I’d take any song as an encore. Even Wither.” It’s slow, drab, and quite frankly, doesn’t match what the rest of the album had to offer. The Shattered Fortress was the conclusion of a song series Mike Portnoy began with 2002’s Six Degrees of Inner Turbulence in The Glass Prison. Coming together, The Shatter Fortress featured moments from all of the previous twelve step suite songs. Listening to how the band crafted bits of the previous songs together for one final piece actually made for something really creative. For a follower of the band, it was something exciting to finally get some closure with (as I’m sure it was for Portnoy as well). However, as a fan, that’s what it’s for. If this was your first Dream Theater album, you’d be damned to understand what was going on in the song. However, the band took the best parts of each song and glued them together to make a really interesting piece of music. While A Nightmare to Remember was my favourite song on the album, The Shattered Fortress is the BEST song on the album – the one with the most work put into it – and it shows. Unfortunately, I cannot say the rest of the album followed along. (Then again, one could argue they hadn’t written anything really “new” for The Shattered Fortress at all). While The Best of Times was an ode to Portnoy’s late father, the music, to me, feels lacking in any real emotion save for the lyrics. The first three and a half minutes drag and also feel like a high school student just learned arpeggios for the first time. The song continues pretty strongly until the seven minute mark where it dies down and fails to pick itself back up in any really meaningful way. The solo is graceful and epic, but feels terribly detached from the lyrics and the rest of the song. “Now just wait a minute man!” I hear you shout at me. The Count of Tuscany continues the band’s terrible trip through making long songs without any real impact outside of saying to fans who don’t know prog, “Dream Theater regularly writes long songs.” To break down The Count of Tuscany is simple: it’s verse, chorus, verse, chorus, bridge, outro. Counting James LaBrie’s “parts” during this 19:17 long song, he sings for roughly six minutes. The rest is filler. For sure, the ending is beautiful and the verse/chorus bits are intense and really progressive metal. But they’re sandwiched in-between slow melodramatic moments and quiet acoustic bits that really don’t add anything to the story or the song. While it’s nice to extend parts of the song with keyboards or synth for that screechy slow guitar solo, the song isn’t by Pink Floyd and it certainly isn’t Trial of Tears. Slower guitar solo moments like the one in the middle of this song are out of place and arguably unnecessary. An editor to the song would have axed the padding and slow bits. Once again, I found myself wondering what Dream Theater were doing in the song writing process. With only six songs to show, in my opinion, only two were really powerful and really could stand out – the rest was filler. 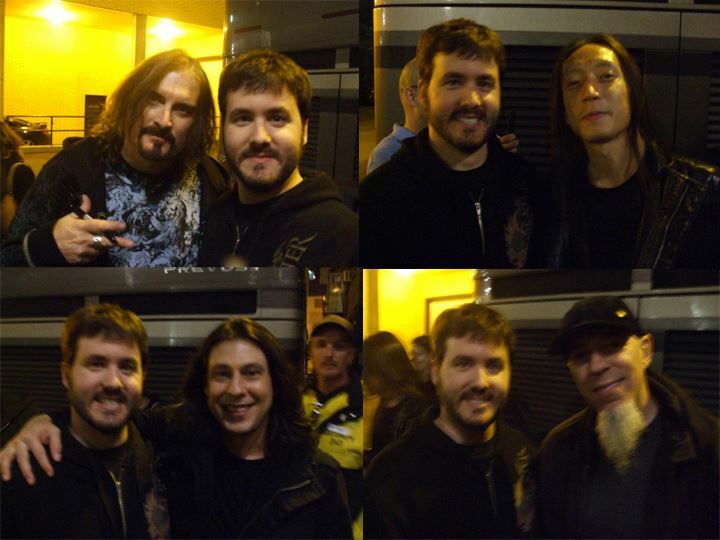 Showing signs of brilliance, however, is one of the reasons why I stick with Dream Theater. And with the conclusion of Black Clouds & Silver Linings (and a short tour with Iron Maiden), drummer Mike Portnoy announced his departure from the band. Part of me was saddened by the news. Obviously a pillar to the band, losing Portnoy, I thought, would be a blow to not only their song writing abilities, but their stage presence. With Portnoy’s departure also went the face of the band. However, the band said they were going to persevere and continue without him. Hiring the legendary drummer Mike Mangini, the band scheduled their next album to be released in 2011. Much like Yes had with The Ladder in 1999, I felt that Dream Theater had reached a renaissance period with A Dramatic Turn of Events. When the album was released, I was a bit nervous with what direction it was going to take. My favourite band had a slew of relatively bland albums and one of the band’s primary song writers were gone. The single, On The Backs of Angels, I felt, droned on for far too long and had little zest. What was the rest of the album going to be like? It actually turned out to be alright. Outside of Outcry, the album was pretty solid. Lost Not Forgotten was probably the second weakest song on the album as, for me, it wasn’t that memorable. The chugging riffs in the verse weren’t anything to write home about and sort of continued the bland theme for the rest of the song. By all means, it’s a song that could have easily been placed on Train of Thought, but it simply didn’t excite me. However, songs like This is the Life, Far From Heaven, and Beneath the Surface, were all slower, melodic songs that go against anything really “metal” that the band has put out. While I knocked other albums for featuring slower songs, the balance between where these songs are on the album actually make sense. If you consider how Far From Heaven ends and the next song begins, the impact from the riff of Breaking All Illusions will immediately excite. As Breaking All Illusions ends, Beneath the Surface solemnly closes out the album in a way which the band hadn’t done since Space-Dye Vest on Awake. As for the rest of the songs, Bridges in the Sky is catchy and quite dramatic, however, it follows down the same formula as The Dark Eternal Night. I enjoy the song greatly, but as a song it seems to get lost in the grandiose of itself. Outcry is the worst song for me because it’s lyrically juvenile and as a song, both its chorus and bridge bother me. There are the odd times Dream Theater blends into Power Metal, and yeah, they do that with this chorus and it feels weird for the band. In fact, it feels rudimentary for them. I know they’re better than this. When the bridge kicks in, all hell breaks loose and the song goes all over the place. It’s strange. Even the song’s conclusion makes little sense. Why the sinister sounding chords? With Breaking All Illusions, I both love and hate the song. I love it because it reminds me a lot of Learning to Live off of Images & Words. Being written by John Myung may also have something to do with that. However, the song feels like early Dream Theater. Unlike Learning to Live though, Breaking All Illusions suffers a bit from a really extended bridge and – in my opinion – a very uninspiring guitar solo from Petrucci. While uninspired solos aren’t necessarily a bad thing, the solo is a good chunk of the bridge. If the song featured a solo similar to Trial of Tears or at least if the song continued with the same tempo throughout, I’d be tooting a different horn. I feel if the song lost the slow solo and tightened itself up, we’d be set. Alas, it’s still a good song. There’s just times I lose interest from it’s melodic tendencies as its technical triumphs completely overshadow it. While the album isn’t similar to Train of Thought, given the songs on the album – and how well they’re ordered track by track – I feel the album is similar to the first disc of Six Degrees of Inner Turbulence. The songs are definitely stronger than previous albums, but are nothing really outstanding (save for the instrumental/choral parts on Breaking All Illusions). While it’s not at all like Train of Thought, I found myself listening to this album more than any previous Dream Theater album. It was more accessible and didn’t force an extremely long song down my throat. I was glad the band broke the long song mold and hoped going forward they’d. . . ah, nevermind. Surprisingly, it’s the first Dream Theater album where I enjoyed the single the most. This album also had a couple of other firsts: the bands first instrumental since Train of Thought, and the first Dream Theater album where I hated the “epic” song the most. I can already hear some of the fans cursing me out. Alas. The first two tracks, False Awakening Suite and The Enemy Inside flow pretty well together. The Enemy Inside was the first single from the album and I hated it. When it was released I didn’t care for it at all. When it came together on the album as a whole, it took on a different meaning and I began to appreciate it more. Much like Far From Heaven into Breaking All Illusions, False Awakening Suite into The Enemy Inside helped each other out – like how a good album is supposed to. After the intensity of The Enemy Inside, the band’s second single, The Looking Glass, begins with a very Rush-like feel. The song is very straight-forward and to-the-point. There’s really nothing to say about the song – it’s solid. The solo is great. The bass is great. Chorus, verse, bridge, structure: all great. It’s a Dream Theater song! To put it bluntly, The Enigma Machine: Dream Theater’s first instrumental since Train of Thought failed to impress me. Unlike instrumentals before it, Hell’s Kitchen, Stream of Consciousness, Ytse Jam, Erotomania, and The Dance of Eternity, I felt this one lost some flair. And unlike the other songs, The Enigma Machine is a regular song with a verse/chorus/bridge structure but with soloing over top of it. if you replace the solos with vocals, you’d have a regular song. I’ve heard the band do solos before – hundreds of them. Why couldn’t the instrumental give me something different? Where’s the crazy structures? Where’s the intense time signature changes?It was a disappointment. The Bigger Picture and Behind the Veil are both songs which I enjoyed initially but felt haven’t aged well. In fact, Behind the Veil was my favourite song when the album first dropped. Especially since The Astonishing was released, The Bigger Picture doesn’t stands out at all and has lost any semblance of originality it had. Behind the Veil’s opening is great, but kind of gets lost in its blandness. The chorus slows the song’s initial excitement down and in hindsight, there wasn’t anything that is very memorable about it. Surrender to Reason was another song I forgot existed. Lyrically it’s great, but there’s not much else to say about it. It just shows very little variation in song writing. Along For the Ride is a nice power ballad that makes me wonder if Dream Theater could ever go the Devin Townsend route and release something as bold as Ghost or Casualties of Cool under a different moniker with softer songs. I’d buy it (of course). But as for a song that shouldn’t be on any album: it would be Illumination Theory. I have no idea what the band was thinking when they wrote this song. It starts off promising. It’s epic, bold, big, and badass. We get James LaBrie singing with broken phrasing – borderline rapping. The song is powerful and intense. Then just after seven minutes, it dies off. We get soundscapes and an orchestra. It’s something that’s pretty but also something that wasn’t expected to be in the song. It’s transitioning is poor and to be honest, the slower parts don’t make a lot of sense in the song. “Are all songs supposed to have meaning?” the short answer is no, but in a world of progressive music, we applaud the musicians for creating something that takes time to piece together. Something that has meaning or at least sounds good. It’s not that the middle of the song sounds bad – it just sounds out of place. It’s shoe-horned into the song not because of a smooth transition, but because it seems like the band wrote a nice middle part and wanted to put it in somewhere. So why not a long song? Like The Ministry of Lost Souls, having a long song seems cool. But when you remove the padding, it shrinks considerably. And if the padding is removed and the song is still good, you’re set. One learns to do that with experience. Yet Dream Theater is the twelfth studio album by a band that has been around since 1985. What the hell, guys? After the eleven minute mark of Illumination Theory, we hear some heavy bass, some screaming from LaBrie, then crazy wankery which pads out the song and sounds more detached from the whole picture. In fact, I’d be fine if they cut all of “The Embracing Circle” and “The Pursuit of Truth” parts. The song concludes similar to how Octavarium and The Count of Tuscany did, leaving me yet again uninspired by the song. Structurally, they begin to blend together: long intros, long bridges, epic endings. I know that’s over-simplifying, but you can see a pattern there. For a progressive band, the structure is stale and even at times predictable. 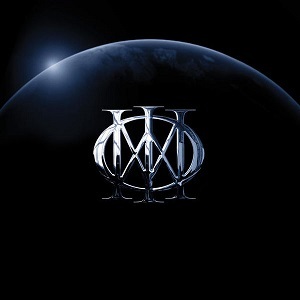 When all is said and done, Dream Theater terribly missed the mark as a strong album. The few stronger songs are unfortunately outweighed by the bloat of the rest. When looking for an impactful album like Train of Thought, I feel as if this one missed the mark. After the surprising A Dramatic Turn of Events I felt let-down by the band. But surely they’d turn it around for the next album! Don’t worry! I’m not going to go through every track on this album! Once word got out that Dream Theater was going to release this album, prog and Dream Theater fans alike were excited. Before the album dropped, the album’s first single, The Gift of Music, was released. Then the North American tour was announced with the band stating they’ll play the new album in its entirety. We bought it up and were excited. The Gift of Music was a promising track. The concept was intriguing. The challenge the band posed for themselves was huge! While I knocked Illumination Theory for being too stale, the promise of The Astonishing wiped away those fears. Dream Theater were about to release something big and incredible. Thirty-four songs. Over two hours of music. The progressive metal pioneers surely must be channeling their inner Scenes From a Memory – the last concept album they wrote back in 1999 that currently sits at #47 – between Frank Zappa ‘s The Grand Wazoo and Images & Words – as one of the greatest prog albums of all-time. Some fans loved it, some fans hated it. As previously mentioned, I didn’t care for it at all. The long ballads, clichéd storytelling, slow instrumentation, and overall unexciting plot, left a lot to be desired. The Gift of Music felt like we had been mislead. Then again, it was really only one of a handful of songs that were actual songs on the album. Everything else felt like a segue or orchestration. When I came home from the show I didn’t feel astonished. Ultimately the album was like a soundtrack to a movie – not something you’d put on in the background – but something you’d have to commit to. And over two hours of an uninteresting story turned me off big time. Look, I enjoy Mystery Science Theater 3000. But this? No way. If want to talk about uninspiring storytelling, look no further than the villain named Daryus Nafaryus, second to Lord Nafaryus. Much like In the Presence of Enemies, the two good songs, The Gift of Music and Our New World, are the bookends to the otherwise bland album. Was it like Train of Thought? Absolutely not. Not even close. However, could be seen as a turning point for the band if they decide to stay on this route. Like Falling into Infinity, I doubt the band will keep on the same track. I think everyone’s on the same page with the type of record this is gonna be. I mean, so far the music is heavy, it’s progressive, it’s melodic, it’s shredding, and it’s also epic. So it has all those elements. Is there a chance we’ll have something different? I mean, all of those elements listed above could easily be used to describe one of my least favourite songs, Illumination Theory. Ultimately, however, I’m a Dream Theater fan. I’m going to buy the next album. I’m going to go see them for the thirteenth time in concert. I’m going to continue to critique their music and absorb what they have to offer. It’s what I do and what I enjoy. While no, I don’t feel that the band hasn’t released anything as impactful as 2003’s Train of Thought, I still have hope and desire that they do. While I feel their last great album was from 2003, I’ve seen enough glimmers of hope to get excited again. Will they pull it off, or should we expect to see more padding and technical wankery that doesn’t help the songs at all? What do YOU think? Was Dream Theater’s last great album Train of Thought or are you more die-hard than me and think it was Awake? Or are you in the boat that The Astonishing was great? Am I wrong with saying things like the band pads out their songs, or that they noodle around too much? Or am I spot-on with my analysis? I’d love to hear your thoughts and opinions on the matter! Whether you’re a fan of the band or not, you’re clearly a fan of music to have read this much. Let’s continue the discussion! Until next time, keep on Space Truckin’! Lots have happened since my last post! I have posted this in the Dream Theater forums and have had great discussions over everything. Before I go into Dream Theater’s newest album, I feel I should address my comments above about The Astonishing which I have said on the message boards. Because of this thread I’ve re-listened to The Astonishing based on the suggestions on what to listen to here. While I’m not going to go whole-hog about the album, I will concede the point that the album does not really feel like a movie score as so much a theatrical production. While I still dislike the story, I think the reasoning to why I felt it was a score was because … it struggles to be a theatrical production. I listened to the album on Thursday giving me a few days to think about this. My main idea is that, unlike say, a theatrical play (or let’s take Pain of Salvation’s BE since we’ve brought it up before), there’s little variation in emotion or story from LaBrie. It’s not that he did a bad job at singing – but unlike a production playing out or being performed, I feel like The Astonishing is more narrated. There’s little hints of emotion and conveying of the story through LaBrie and as such, takes me out of the “theatrical production” mindset. And I’m not ragging on LaBrie. I KNOW he can convey emotion and storytelling properly. See: The Human Equation album, Vacant, Beneath the Surface, A Nightmare to Remember, et al. Either his direction or the material wasn’t good enough for him to tell it properly. That being said, thematically, the album works. I hear the music less like a soundtrack and more like a production. I still don’t think it’s a great job at it, but if I had given The Astonishing a 3/10, I’d bump it now to a 5/10 (I really haven’t thought about ranking the album out of 10. I’m just giving you folks an idea to what listening to an album again with open ears can do). It’s been a couple months since February’s release of Distance Over Time. I purposefully wanted to give myself a bit of time, as well as seeing the band in concert for the thirteenth time – to really get a grasp on the album; to see that what I was feeling upon my first few spins were still felt months later. Unlike my other reviews above, I’ve had literal years to think about those albums. It wouldn’t have been fair to go with a gut reaction with Distance Over Time – and I’m glad I did. 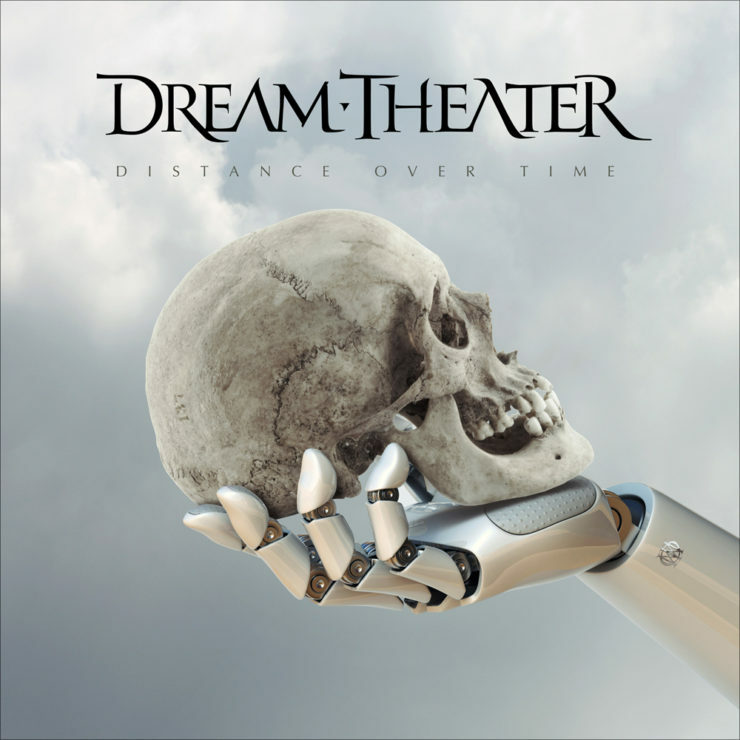 I can safely say, without hesitation, that while Distance Over Time is not the best Dream Theater album, it is now the last greatest Dream Theater album – triumphing over Train of Thought. Wild, ain’t it? Let’s discuss! Initial reactions – and something I still feel – is that the first four songs on the album, Untethered Angel, Paralyzed, Fall Into The Light, and Barstool Warrior, are throwaways. They’re the weakest songs and are, in my opinion, Dream Theater fluff pieces. I can already hear the moaning begin from some of you as I rip into the singles, but unfortunately, that’s how they feel – like singles. 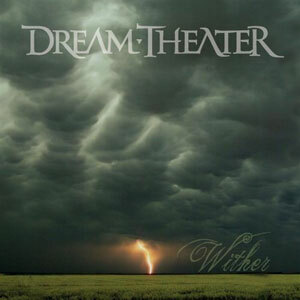 Like Forsaken, Wither, I Walk Beside You – sure Untethered Angel is harder and faster – but it adds nothing to the Dream Theater repertoire. If anything, around the 3:28 mark, I felt a flashback to In The Name of God off of Train of Thought. The song gets a mediocre unison instrumental after the solo (mediocre for DT’s standards) and a slow burn to the end of the song. The chorus tries to be catchy, but ultimately bores the heck out of me. The album continues to bore with the following track, almost as bad as Forsaken, with Paralyzed. The album reminds me of a cross between Forsaken and the emotions of The Ministry of Lost Souls – both off of 2007’s Systematic Chaos. Was this a B-side that was never released or something? It may not be, yet why do I feel like it is? Or is it just because I’m unbearably bored with the song. It’s a progressive metal ballad with a dreary hook as the chorus. “I’m paralyzed” is sung with mixed emotions that don’t contrast well with the verses. It’s strange. Speaking of mixed emotions, Fall Into the Light is just that. The opening riff, Mangini’s snare roll, and chugging is rocking. It’s hefty, and right into the chorus, is nothing but powerful. After the chorus, the song deflates and seemingly floats off onto a strange land. It seems like two song ideas pasted together. The transitions are necessarily great and the acoustic bit screams rock ballad. It really should’ve gone into Paralyzed. We have Mangini’s snare pick up as the transition, cue the song starting over with a keyboard solo, and end with Liquid Tension Experiment’s Universal Mind. BAM, that’s the song in a nutshell – and in my opinion – it’s not good enough. It feels safe and bland. Catchy chorus, but LaBrie’s mix is off-putting. Barstool Warrior reminds me so much of The Looking Glass, it hurts. But I really liked The Looking Glass. Barstool Warrior? Even the name sounds lame. I was hoping when I heard the song live I’d gain a new appreciate for the song. Alas, I still feel like it’s aiming for “waiving hands” moments with the chorus, but it still fails to uplift me – which I feel fairly confident the band was trying to aim for. It’s one big epic outro as one song. It’s not bad, per se, but simply doesn’t have any oomph to really take off. However, when we finally get into the meat and potatoes of the album, it doesn’t stop it’s greatness, so much so that it surpasses anything else they’ve done since Train of Thought. Don’t get me wrong, the lyrics to Room 137 are absolutely cringe-worthy – but I feel like the band really begins to get its stride with this song. The pumping drums, the descending guitar riffs, and instrumentals between the chorus and verse – they’re powerful, dirty, and feel like heavy metal. The “fluff” so-to-speak, from the first four tracks are gone (albeit Fall into the Light had moments) and we finally get something powerful. That being said, the second chorus before the guitar solo totally reminds me of The Beatles’ song, Across The Universe. Petrucci’s solo is short and tasteful. It fits in the “theme” of the song and the song’s conclusion hits with just enough punch to transition into my second favourite song of the album. 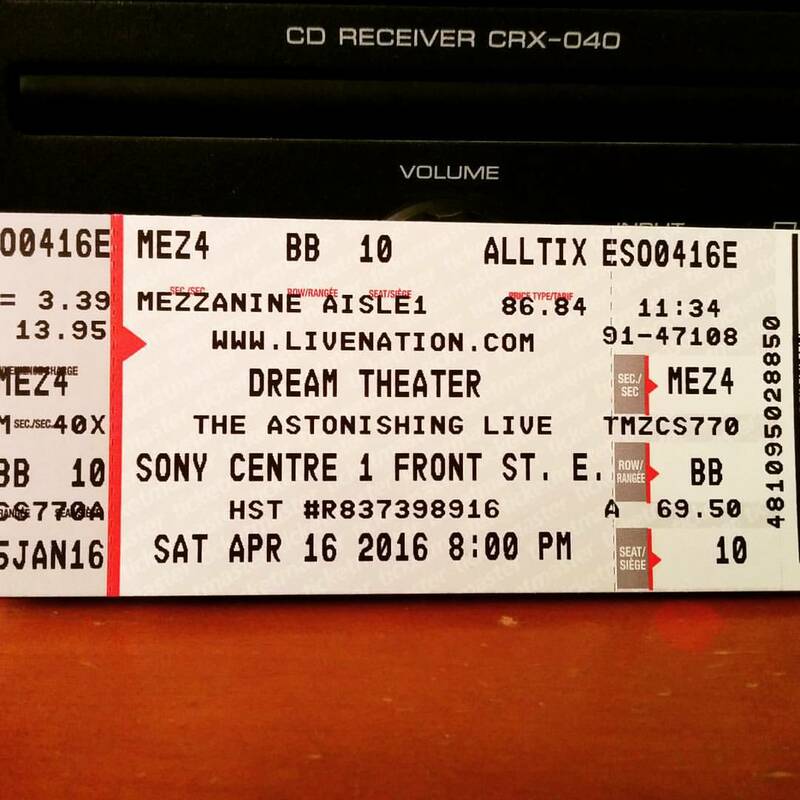 I’m going to see a Dream Theater! S2N is friggen great. It’s fast, progressive, metal, and really shows how much the band has tightened up their form. The chorus is epic and features LaBrie showing off some decent vocal techniques. The songs verses aren’t carbon copies of one another and the instrumentation flows naturally throughout the whole song. While the song could be argued as being too “noodley,” I can’t help but disagree. It’s broken up nicely with the choruses and offers enough variation to make a great song. And folks, let’s talk about that bass tone. Some solid stuff in this song. With At Wit’s End, the song sounds like how it’s titled. It opens with a roaring guitar riff and gets painfully mournful in the chorus – literally at wit’s end. LaBrie’s cries during “Don’t leave me now,” absolutely hits the nail on the head on how to convey emotion. Even as the song transitions into the slower movement in its latter half, his reprising cries of “Don’t leave me now” are absolutely brilliant – especially over that fade out solo which I’d say is my favourite since Take the Time. For a song that slows down for its remaining half, the band seemed to focus more on the feel rather than the technical – and it is absolutely refreshing to hear. And like A Dramatic Turn of Events, we have a slow song before the epic finale. Out of Reach, like Far From Heaven, Vacant, or Wait for Sleep, becomes with great transitional song into the final bit of the album. It also is yet another showcase of LaBrie’s performance. I hate to keep saying it, but his cries at the end are just wonderful. The song is ripe with emotion and again, another pleasant track on the album. As final tracks go, and as you may have read above, Dream Theater seems to go into technical wankery – or trail off into silliness with their “atmosphere.” Fortunately Pale Blue Dot takes all of their epic ideas and condenses them. In fact, Pale Blue Dot feels like a huge song from the band, but is under nine minutes! It harkens back to In the Presence of Enemies (which may be why it was on the tour this year?) and keeps the bridge within the thematic elements of the song. What I mean is, while the song is Chorus-Bridge-Chorus, the bridge actually doesn’t trail off into a new song or come out with new themes. Everything performed in the bridge stays within the confides of the song and ultimately makes it stronger. There’s lots of ideas happening within the song and they all seem to get their proper attention. It’s a killer conclusion to the album. I mean, unless you got the bonus edition. . .
Guys, Viper King doesn’t fit on the album, but holy smokes. It’s easily one of the best songs the band has written in over a decade. Because it’s a “bonus track,” I won’t get into it, but hot damn. What a great track. Like A Dramatic Turn of Events, Distance Over Time is easily accessible and forced the band to tighten up their song lengths. With every song under ten minutes, it is incredible to have such variety in the album. Some minor squabbles with the album include the lack of bass guitar in the mix, and LaBrie’s mix at certain points with huge, unexpected reverb. While I didn’t care for the first four tracks of the album, they were still better than a lot of their late-2000s output. They’re just boring songs (for me), not necessarily bad ones. But like I said, by track five, we’re totally cruising with incredible works. Less wankery and tighter musicianship makes Distance Over Time one of the best albums the band has done. In the meantime though (and speaking of reverb), I’m going to spin Devin Townsend’s Empath for the millionth time.